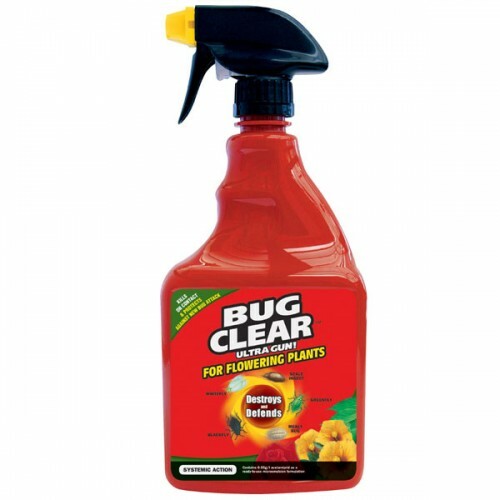 Ready to use, Bug Clear Ultra Gun is a contact and systemic action insecticide offering a broad spectrum of pest control for flowering plants. Protecting for up to 3 weeks, this kills all major insect pests including whitefly, greenfly, blackfly, red spider mite, caterpillars and lily beetle, scale insects and mealybugs. It also gives a useful level of control of thrips.